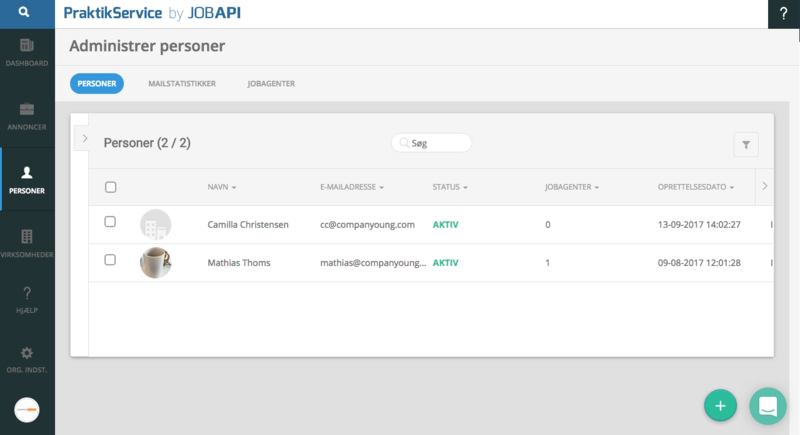 To send a direct mail to the people associated with your organisation's job portal, start by clicking the tab "Personer" in the menu to the left. You are now shown a list of the associated people. You choose which people to send an e-mail to, by clicking in the little white box located right next to their profile picture. 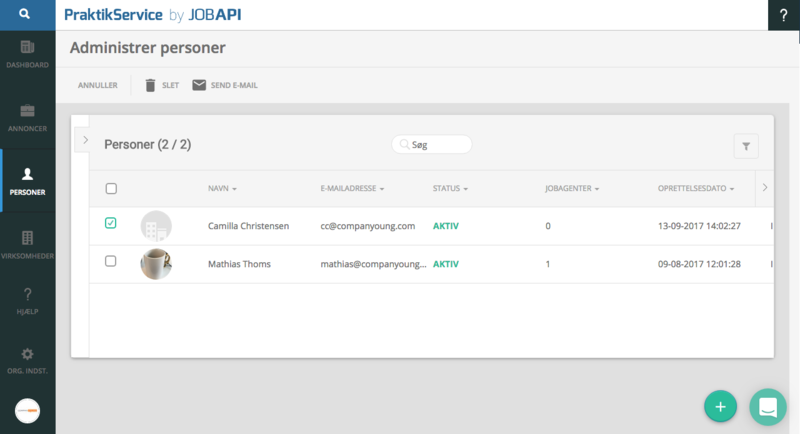 When you are done choosing the relevant people, click "Send e-mail" located just below "Administrer personer". 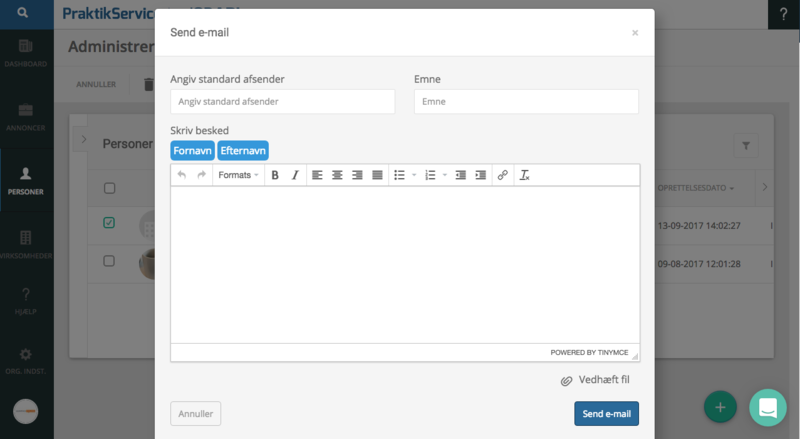 A dialog box will appear and you can start writing your mail. If you wish to attach files to this mail, click "Vedhæft fil" located just below the text field. To send your e-mail click "Send e-mail" in the bottom right corner. Your mail will now be sent to the chosen people.